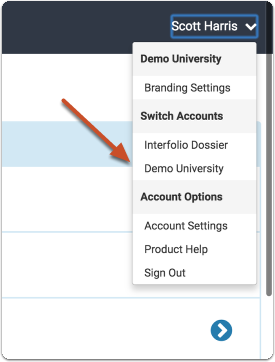 This article explains how to access the feature to create a case in Interfolio Review Promotion & Tenure from a blank case. Because the process of creating a case from scratch and creating a case from a template are similar, this is explained in more depth in this article on creating a case based on a template. 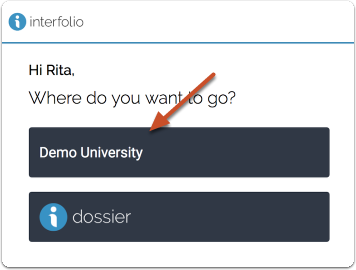 Cases can be created for any unit in the hierarchy of an organization. 2. 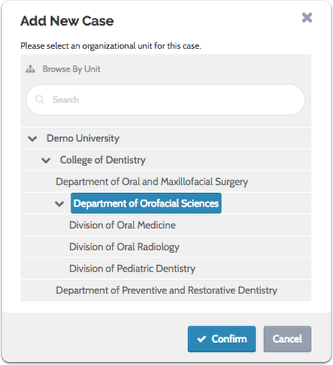 Select a unit for the case and click "Confirm"
From here, the process is very similar to creating a case based on a template. Please see this article on creating a case based on a template for more information.